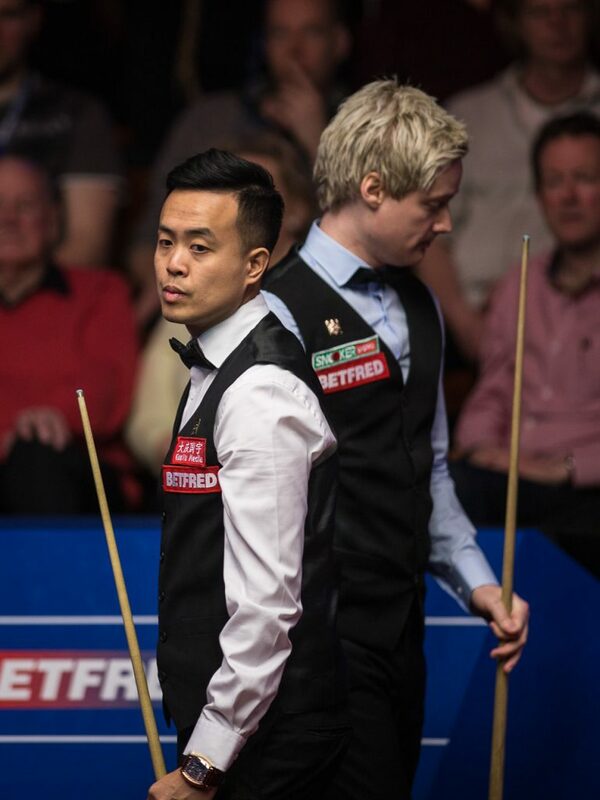 Marco Fu and Neil Robertson are level at 8-8 going into the concluding session of their Betfred World Championship second round tie. Fu battled back this morning to come from 4-1 down and restore parity at 4-4. This evening’s snooker followed a very different pattern as the pair traded big breaks, with neither player edging further than one frame in front. Robertson took the opening frame of the evening, but was immediately pegged back by Fu who made a century run of 109. The Australian composed a break of 91 to edge in front once more. Fu took the lead for the first time in the match when he won two frames on the bounce to lead 7-6. Robertson then edged ahead himself, but the Scottish Open champion crafted breaks of 56 and 46 to take the final frame of the session and leave the match finely poised at 8-8. 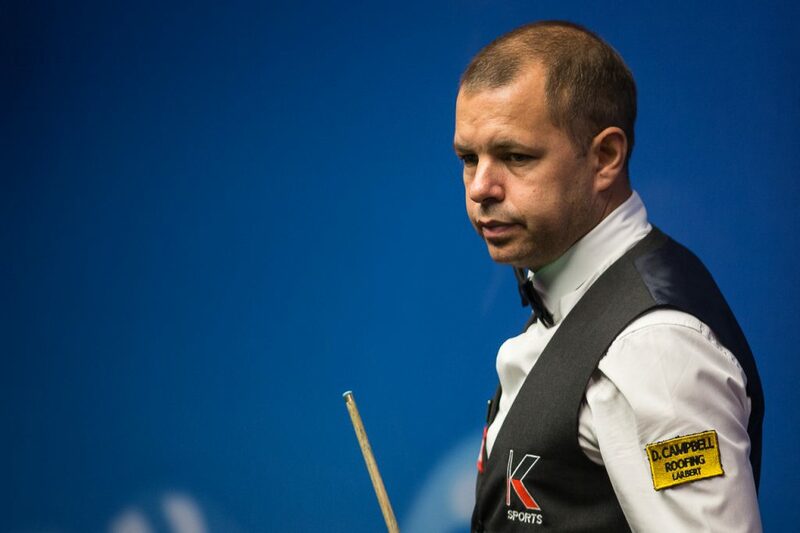 Barry Hawkins has established a 10-6 advantage over 2006 World Champion Graeme Dott, as he steps up his bid to reach a fifth consecutive quarter-final. The Hawk led 5-3 after this morning’s opening exchanges, but it was this evening where he really flew out of the traps to take a stranglehold on proceedings. Hawkins claimed the first two frame to lead 7-3 and despite trailing the 11th frame 57-0 he countered with a clearance of 70 to extend his advantage. The World Grand Prix champion moved 9-3 in front, before Dott charged back into the match. The Pocket Dynamo made consecutive runs of 65, 59 and 105 to close in on the Hawk at 9-6, but Hawkins snatched the final frame and requires just three more when they resume tomorrow afternoon.